Where we live mosaic tiles. 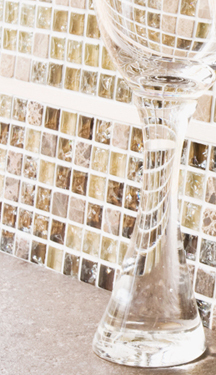 Amazing in both kitchen and bathrooms the Textured Glass Brick Mosaics are a ravishing way to express yourself. SKU: MTBDG. Categories: Bathroom Mosaics, Kitchen Mosaics, Mosaic Brick. Tags: Glass, Grey, Mosaic Brick, Textured. For all orders over £100. Order up to 5 samples FREE Delivery and then claim back the sample cost via our coupon service. Amazing in both kitchen and bathrooms. 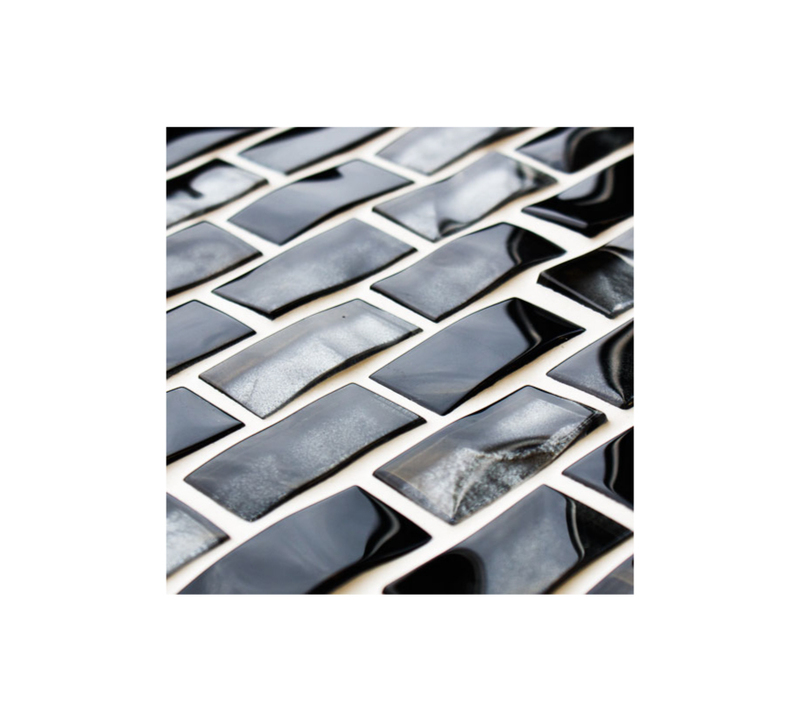 Small but perfectly formed, the Textured glass brick mosaics are a ravishing way to express yourself. 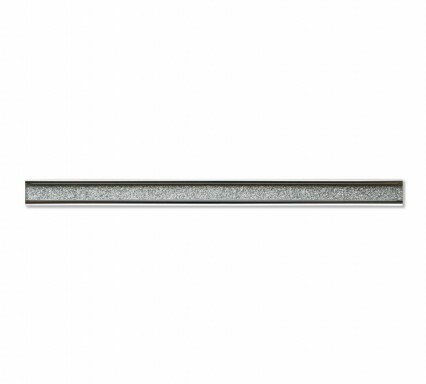 At 25mm x 50mm this double brick glass mosaic is gathered together on mixed sheets to ensure a smooth, streamlined and simple application to interior walls. We have launched the range with four inspiring sheets of mixed colours . Light grey, dark grey, light brown and dark brown. 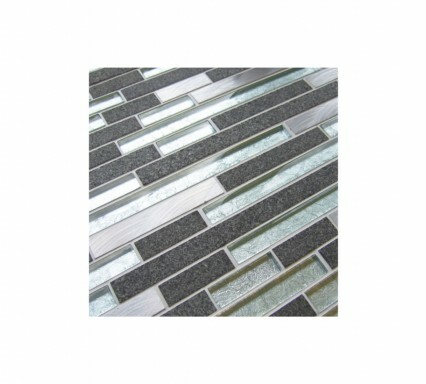 Incorporating these glass mosaic bricks into your living space and turn walls into a reflective brick bond masterpiece. 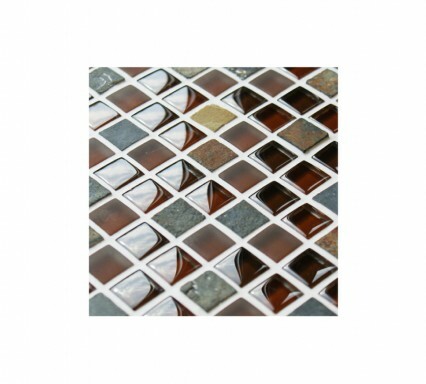 The Mixed Textured Glass Mosaic bricks – A modern choice in a traditional manner. We highly recommend ordering samples as colours and textures can often appear different once in your hand. By doing this you can get a sense of how they will work in your home alongside your own interior styles before you purchase. We will dispatch your samples within 48 hours, subject to availability. 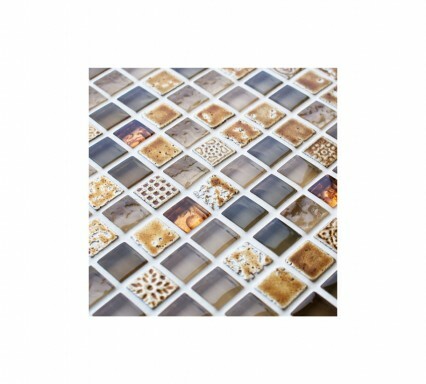 You can order up to 5 mosaic tile samples with FREE postage and packaging. You will also receive a coupon code with your delivery, to claim back the money spent on your samples (£2 per sample) IF YOU PLACE AN ORDER. This can be entered at the checkout. There is a small charge for each sample, depending on the size of the tile you will either receive a single tile or a 10 x 10cm piece to give you an idea of colour and texture. 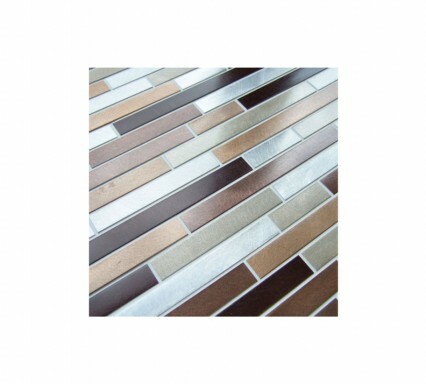 If, however, you would prefer a complete mosaic tile sample, just select sheet size when making your order. Welcome to Mosaic Village, your online destination for mosaic tiles. 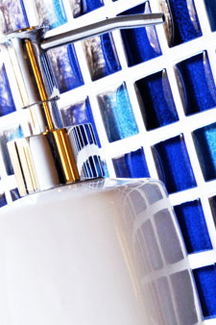 Here you will find carefully selected ranges of mosaic tiles in many sizes and finishes.